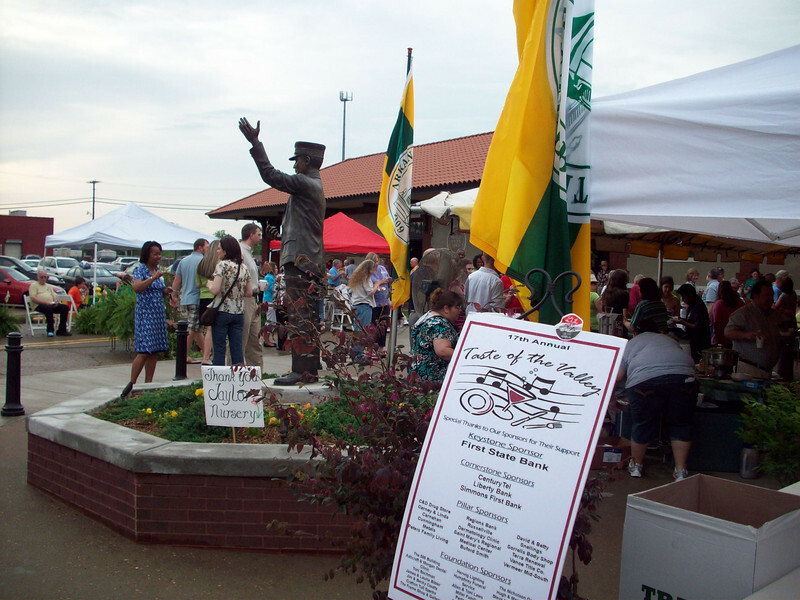 The depot provides a venue for all types of community events year-round. The mission of the TE program is to advance the construction of a surface transportation system that is positively integrated with the economic, social, human, and environmental framework it is embedded in. This is based on an understanding that relating to surface transportation involves ties beyond those of use or proximity. In 1996, a group of concerned citizens, volunteers, and staff at Main Street Russellville understood this relationship when they formed the Friends of the Depot with the purpose of saving the historic Missouri-Pacific Railroad Depot in Russellville, Arkansas (pop. 27,602). Once a bustling depot (built 1916) that connected passengers along the Missouri-Pacific Railroad to other cities throughout the south and west, the depot closed to the public in 1960 when passenger service discontinued. Union Pacific converted the depot for office use and storage, and though it did not suffer from major structural damage, the Friends group recognized that the depot and its historic connection to the railroad and the community was slipping away. The depot served as a transportation hub for nearly 45 years, and elderly members of the community recall their parents' connection to the railroad as either passengers or railroad workers. The depot itself had a somewhat dark connection to the segregated south, with a separate waiting room for colored passengers. The 1992 listing of the depot in the National Register of Historic Places was the first stage in saving the depot. Restoration took place in two phases between 2000 and 2002 with three TE grants totaling $555,000. The community matched these grants with over $200,000. The restoration of this historic depot now serves the greater community of Russellville, which had lacked a space for civic engagement. The depot fills that void by providing a venue for special events and serving as a visitor's center and railroad museum. In addition, it is the hub of downtown revitalization efforts in Russellville as the headquarters for Main Street Russellville. For more information about the Missouri-Pacific Depot in Russellville, visit www.mainstreetrussellville.com.